I think about my singleness with gladness and joy over the two choices I made. 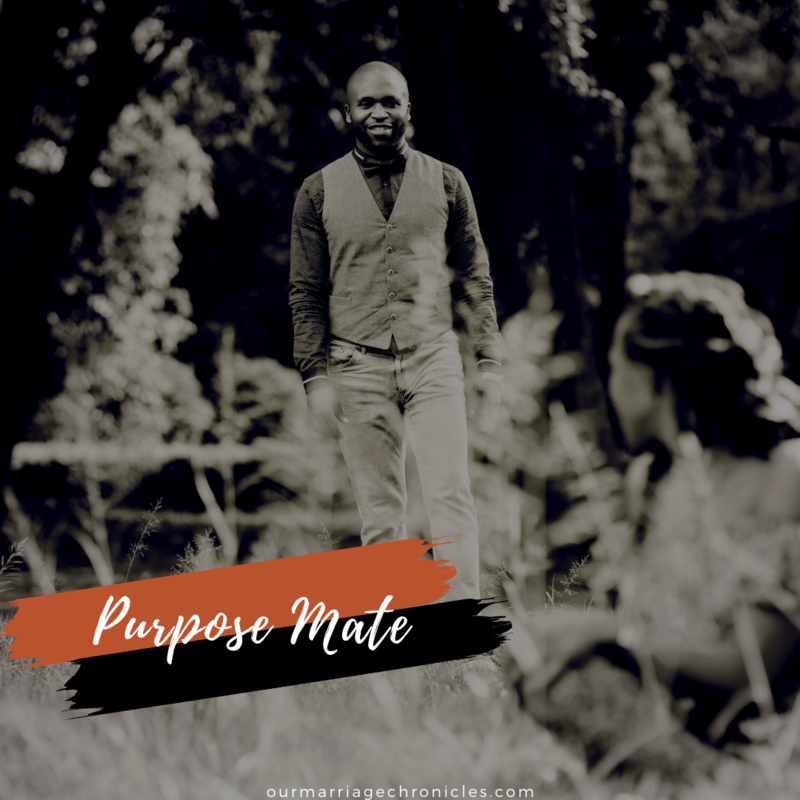 First, to pursue Christ relentlessly – as He will help me make MY CHOICE OF A SPOUSE, and secondly to thrive in my singleness – TO EQUIP MYSELF FOR MARRIAGE. I do not regret either of those choices. I was literally alone, no cliques, no invites, just me and Christ – and in that wilderness, the Lord really worked on me. The more I pursued Christ, the more I desired to have a spouse who loves Christ as much as I do or even more. The more I pursued Christ, the more superficial loves took a secondary seat. Ladies, having a fine brother hit on you might be thrilling and it’s perfectly alright. You need to be attracted to someone too, physically, but, but I would rather you care more about his godliness than his fine self. His character is what you eventually marry, not his abbs. His character will keep your purpose alive. Character will revamp your purpose. His character will keep you two on your love boat when the tides of life begin threatening your foundation. Character. Desire a man who loves the Lord so much. It will be easier for him to submit his desires. Easy to be molded by Christ. Easy to listen and eager to learn. The more he beholds the God of love, the more he sees his need of His saving grace. You need to be attracted to someone too, physically, but, but I would rather you care more about his godliness than his fine self. He steps where Jesus steps, he is guided by the good Shepherd who leads him in quiet waters. His strength is restored by the Lord when weary. He knows too well the one who has the power over his soul. Christ. There is nothing as good as having a spouse whom you pursue God’s will, God’s righteousness, God’s way, God’s mind, God’s love, God’s essence, God’s purpose together. There is nothing as beautiful as having a spouse who loves the Lord together with you and challenges you to get more of Christ every day! To love the Lord more, to trust the Lord more, to have faith in Christ more. How would I be able to grasp the intensity and beauty of God’s grace and love without having a reference point as Christ Himself? How would I understand forgiveness and mercy without looking at the one who first loved me? How would I understand what the death of self means, if I cannot see the one who became sin yet He sinned not? How would I extend grace to my spouse if I don’t know the one who settled every penalty of sin for me? Nothing as beautiful as pursuing Christ together! But wait! It begins with YOU pursuing Christ FIRST. He alone fills His “God hole” – your spouse will therefore not be god, an idol, competing with God, but a CO-worker with you in the Lord’s vineyard. Acts 6:3 – Therefore, brothers, choose from among you seven men with good reputations [men of godly character and moral integrity], full of the Spirit and of wisdom, whom we may put in charge of this task. “Choose… men… who are known to be full of the Spirit and wisdom.”The word here is “CHOOSE”. So you too have a choice of choosing a man who is filled with the Spirit of the Lord, alive in Christ and bearing fruit of that testimony of their salvation. A man who is full of Godly wisdom. But how can you know that he has the Spirit of the Lord when you have not invested your time in Christ? Now, does that happen nowadays? Ladies keep saying that there are no good men left, and yet, marriages are still thriving, weddings being officiated. Where is the disconnect? This is where the disconnect is. You cannot desire a good man, yet you are not yet a virtuous woman. You cannot know how to choose if you don’t invite the author of marriages to vet your choices. You may sincerely desire a godly marriage but are ill equipped for it. If you desire a marriage more than the Lord of the marriage, then you are ill equipped. If marriage is what you desire so as to be happy and joyous and purposeful, then you are ill equipped. If you think that having a man who says “I love you” every day will make you happy, then you are ill equipped. If Christ is at the back seat as you make your choices about relationships, then you are really ill equipped. If you trust your understanding more than you trust in the Lord’s guidance, then you are ill equipped. If your relationship doesn’t inspire godliness in both of you, then you are ill equipped. If you find yourselves competing with God in your relationship, then you are really ill equipped. It’s one thing to desire marriage, and it’s another thing to be equipped for marriage. It all begins there. Your choice of a spouse. If you chose wrongly, you kill your purpose. If you chose right, you build your purpose. It no longer becomes two, but one. Stronger, bigger, deeper, better, great. You won’t regret making a choice founded on that basis – the basis of God’s word, not the standard of the world. Can this honestly be said about your current relationship? Are you excusing the red flags in your relationship because you desperately want a wedding? A bling? A title – Mrs? “Is he a man full of the Spirit and wisdom”? If not, are you sure you want to settle? Previous PostDATE NIGHT IN HEELS! Next PostWHY HE SHOULD PROTECT YOUR PURITY. #FIGHT FOMO.